We manufacture and provide a wide range of Uninterrupted Power Supplies (UPS) that are Micro Controller Based and designed digitally by the meticulous efforts of our team of engineers. Fabricated as per the norms laid down internationally and made available to our quality conscious clients at industry leading prices. We are looking for inquiries from South India region including Andhra Pradesh, Karnataka, Kerala and Tamil Nadu and cities like Bangalore, Chennai, and Hyderabad. 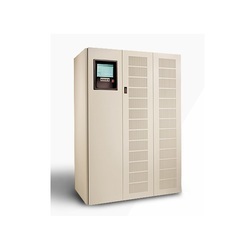 We are leading supplier and manufacturer of Uninterrupted Power Supply (UPS) is one of the products that we manufacture and supply. These are widely demanded because of its reliability and durability. These are used to give steady power, even when the main power line fails. This prevents business disruption and data loss. We manufacture these in compliance with international quality standards. True Online - State-of-the-art IGBT System provides pure sine waveform. High-frequency design - Reduces the loss and noise. Wide Input operating voltage range - Enhances the battery life. LCD Display - Indicates I/P and O/P Voltage, I/P and O/P Frequency, Battery Capacity, Load Capacity and UPS Status indications. Compact in size with the small footprint and pleasing looks. Complete protection against Overload, high/low voltages, low battery, short-circuit and Hot-Ground reversal, etc. We are offering 9130 Uninterrupted Power Supply to our clients. We deliver online power quality and scalable battery runtimes for servers, voice and data networks, storage systems and other IT equipment. 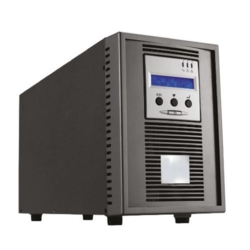 With an efficiency rating of 95% in online double conversion and 98% in high-efficiency mode, the 9130 UPS cuts energy costs while significantly extending battery service life with ABM technology. 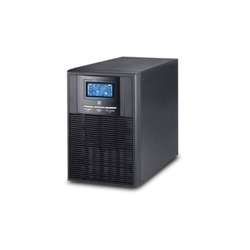 The 9130 UPS also has a bright LCD user interface to simplify monitoring. 9155 Online Uninterrupted Power Supply provides premium online backup power and scalable battery runtimes for IT and electrical engineering infrastructure in corporate, healthcare, banking and industrial applications. Packing maximum battery runtime into a very small footprint, the 9155 UPS is a complete power protection solution. The 9155 can be equipped with an integrated, customizable power distribution module that includes a maintenance bypass switch. Compact design with internal batteries, and built-in static and manual bypass switches deliver a complete solution with reduced footprint and industry-leading power density. Reliable backup is further enhanced with Advanced Battery Management (ABM™) that by using an innovative three-stage battery charging system significantly extends battery lifetime. User-friendly LCD interface with wide range of connectivity options makes 9155 easy to use and safe to operate. Looking for Uninterrupted Power Supply ?